I have once again redone my website, hopefully the last redesign for a while. Each time there’s a slightly different purpose. I could write a wall of text telling you about it, but instead I’ll just show you every past website design I’ve gone through, so we can laugh at them together. 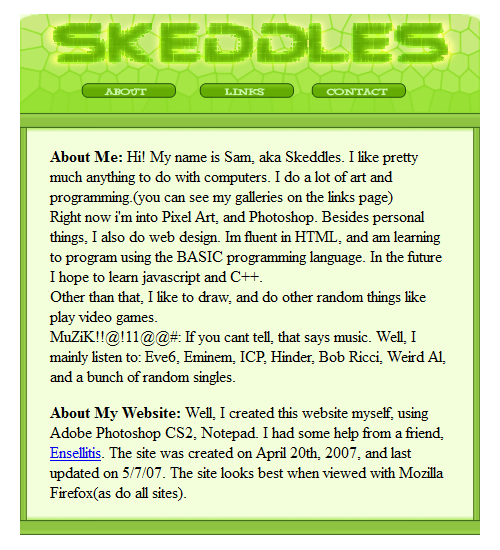 That’s right, before I had my own website, I started on freewebs. Which was quite fitting for the quality of the site. Keep in mind I was a sophomore in high school at this time. Yup, it was just that, on a white background. 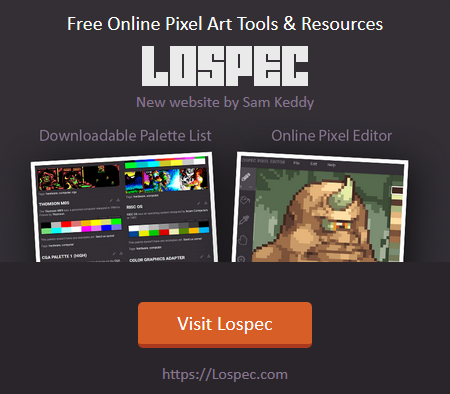 I had just started learning to use Photoshop CS2, so I whipped up this flashy design and put together a website. Yes, the font on the buttons is the one from Yahoo’s logo.